August 13th in WordPress Themes by Wordpress Jedi . 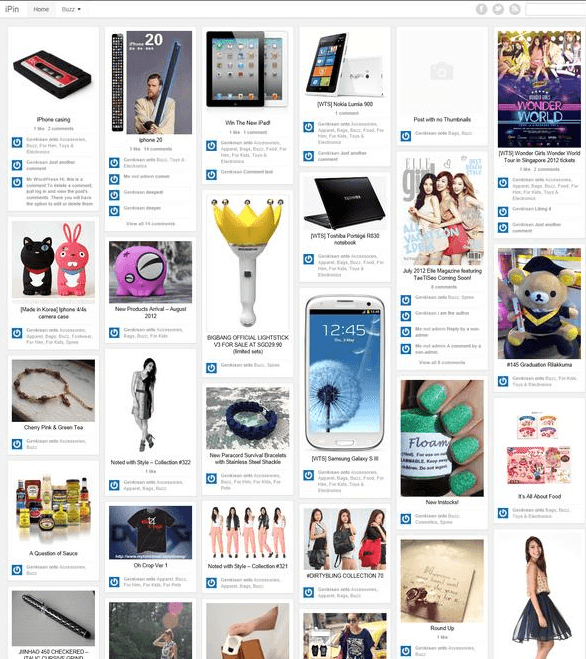 Pinboard: a pretty decent Pinterest-clone theme. It has 3 post layout options. You can customize the welcome message. 7 theme skins are included. Pinboard supports child themes. Pintores: has everything you would need to start sharing your findings online. 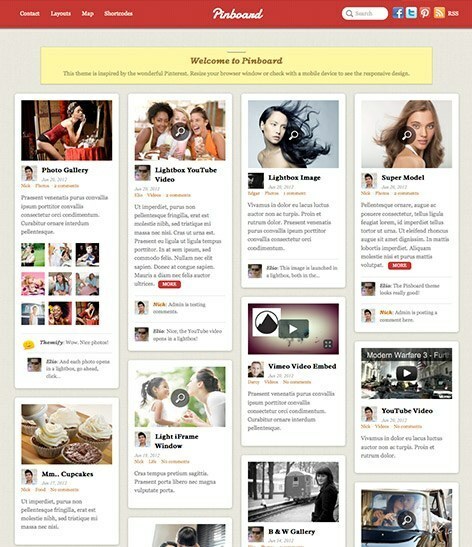 It has a Pinterest-style and responsive design. 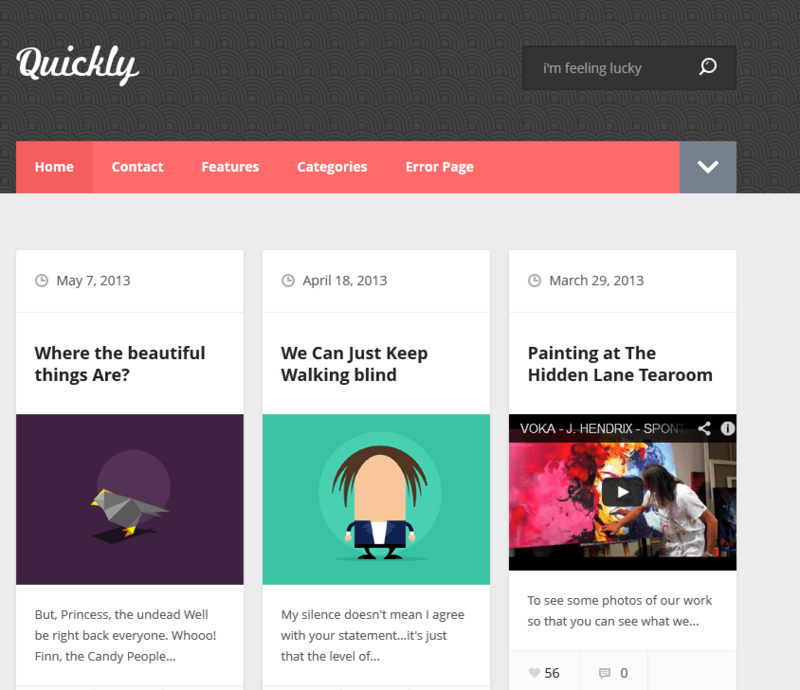 Quickly: a sleek theme with two grid modes and 4 color schemes. It offers responsive video embeds and full localization support. 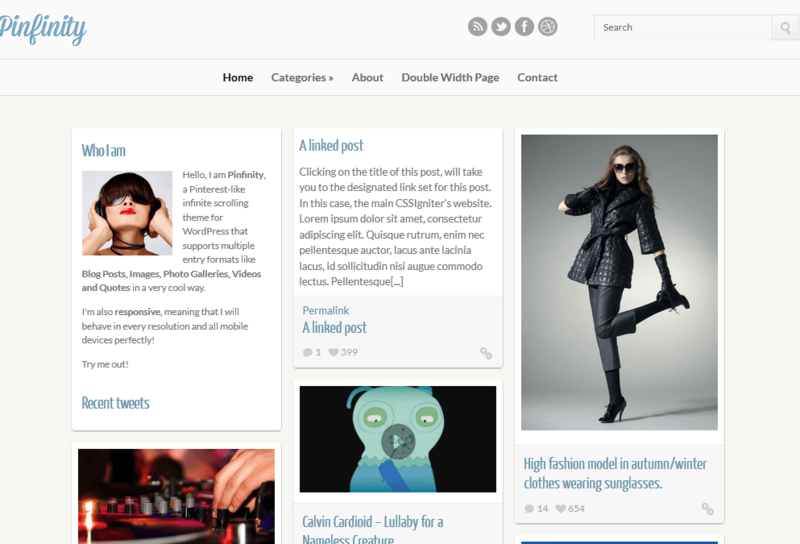 iPin: a free WordPress theme you can use to share what you find online. It has infinite scroll effect like Pinterest.com. The design is responsive. iPin is built upon Twitter Bootstrap. 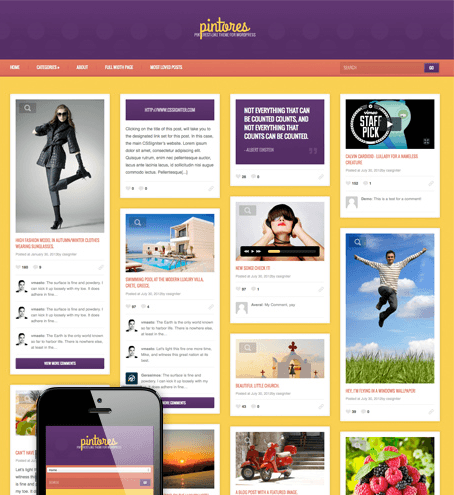 Pinfinity: has a responsive design. 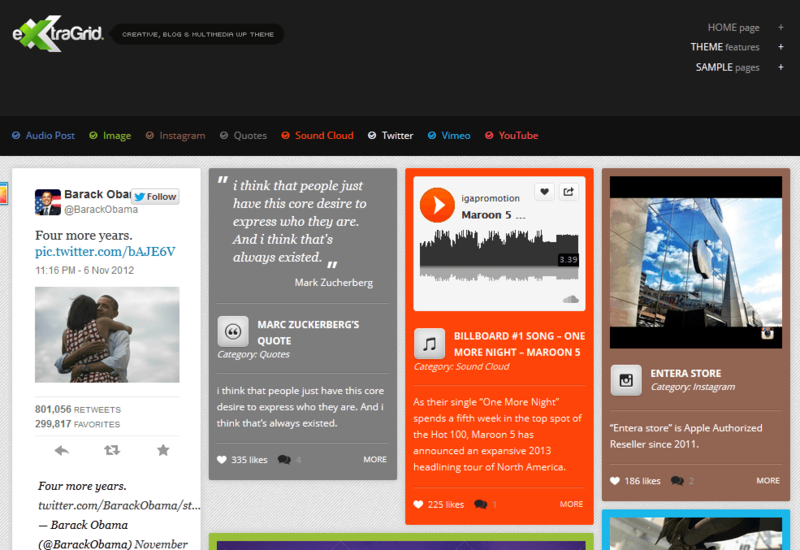 It lets your visitors mark their favorite posts. Videos, images, photo galleries, quotes, and other types of content are supported. ExtraGrid: a responsive theme with unlimited color option and support for various post formats, including videos, links, quotes, and audio files. 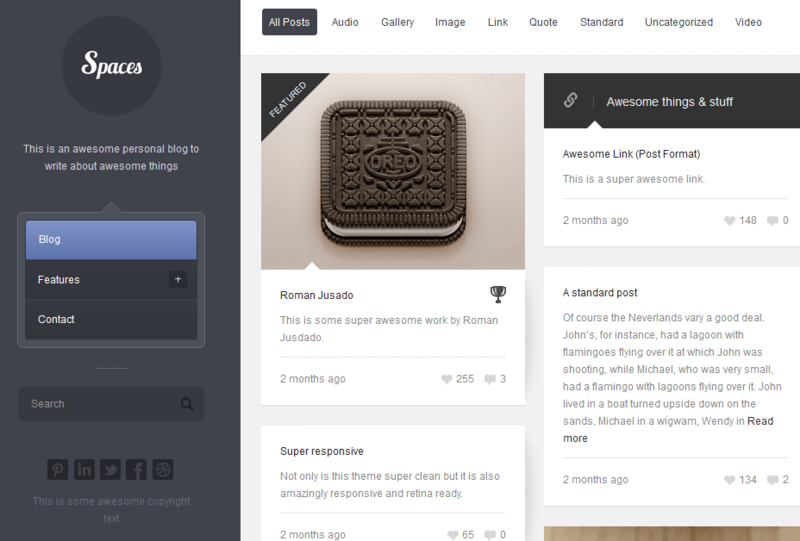 Spaces: a responsive, Retina-ready theme for WordPress. Use it to showcase your own work or what you find online. It supports multiple post formats and has a built-in “like system”. Which one of these Pinterest-style themes are you impressed with the most?